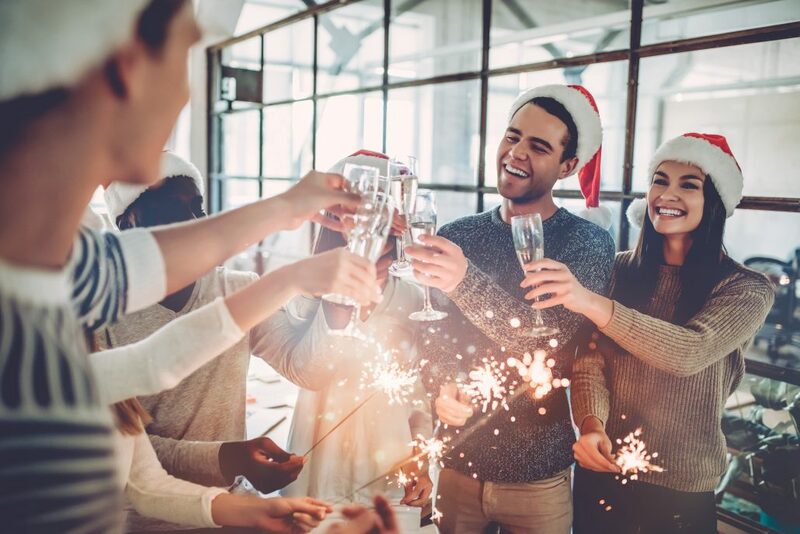 With the Christmas Season in full swing – and our office party on Thursday, we thought we would share with our temps, candidates and clients our Top Tips to Survive the Christmas Party! This is possibly the most important tip we can give you. Unless you have a really good reason not to be there – try and make the effort to go. Whilst you may think your absence would go un-noticed – you would be wrong! It is important to attend to show you want to be part of the team. In many cases – seeing colleagues outside of the office can lead to life-long friendships. Tis the season to be Jolly – BUT with many companies offering free drinks at their Christmas Parties, it is important to pace yourself! Decide before you go what your drinks limit is – and stick to it! Don’t mix drinks – and most of all keep hydrated! Drink a glass of water for every alcoholic drink you consume! From personal experience – it is never good to spend Christmas on Crutches after a Champagne filled Christmas Celebration! Sometimes it is good to let your hair down and unwind! Don’t be afraid to enjoy it – after all you properly deserve it after what may have been a stressful year of work! Leave work talk at the door and get to know your colleagues. I may seem an obvious one – but remember there are many eyes at the party! Whilst we all like a little gossip – we never want to be the gossip! From bad language, inappropriate dance moves to chatting up your bosses partner, or kissing your colleague in the stationary cupboard – the truth may end up haunting you – and worse! Oh and stay away from that photocopying machine! Know the dress code and stick to it! Don’t wear revealing outfits or anything that may cause offence. Also don’t underdress! If the event is black tie – crack out the bow tie and evening gown! Christmas jumpers? Don’t be the odd one out – get involved! You can pick up a Christmas jumper for next to nothing in many high-street stores or supermarket brands. It’s not the time to be honest! Whilst singing ‘All I want for Christmas is you’ at the top of your lungs to your office crush – you may regret it in the morning! Also keep any office gossip, any negative thoughts of your job (and colleagues) or company secrets to yourself! Don’t forget your bosses / Director’s are human too! They have as much right to enjoy themselves as you at the Christmas Party so leave the promotion chat at the door! In fact – try and avoid work chat full stop! If you are part of a large organisation – know the bosses! This could avoid some very awkward conversations! But most importantly – ENJOY YOURSELF – after all it is Christmas an you deserve it! Are you looking for a new Career in 2019? Take a look at our job listings page which are updated daily with exciting opportunities across the county and beyond!